Killed in action Flanders. 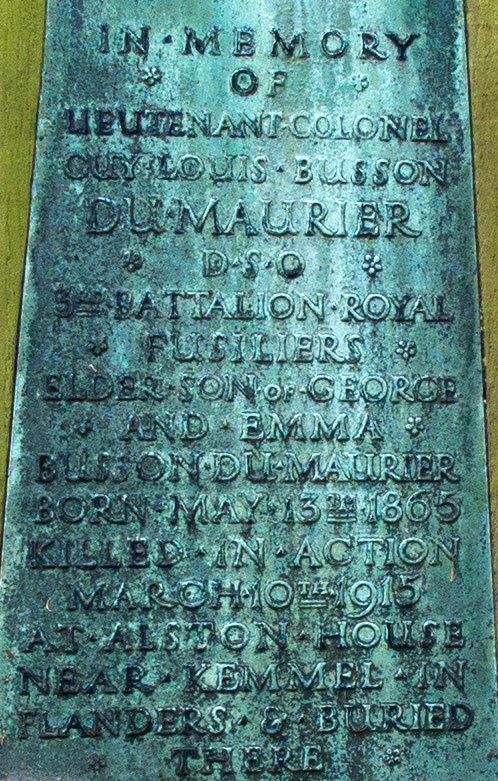 Son of George and Emma du Maurier; husband of Gwendolen du Maurier, of 111, Church St., Chelsea, London. Served in the Burmese and South African Campaigns. Born in London.